Ancient musical instruments, some the earliest of their kind ever found, have been discovered by archaeologists in the tombs of Zaoyang city, China. China Daily reports the musical finds were uncovered in the tomb complex in Hubei province. A plucked string instrument was found, known as the “Se”. Thousands of years ago, the long, flat board instruments were fitted with 50 strings of twisted silk, and were instruments for the elite used in rituals and sacrificial offerings. 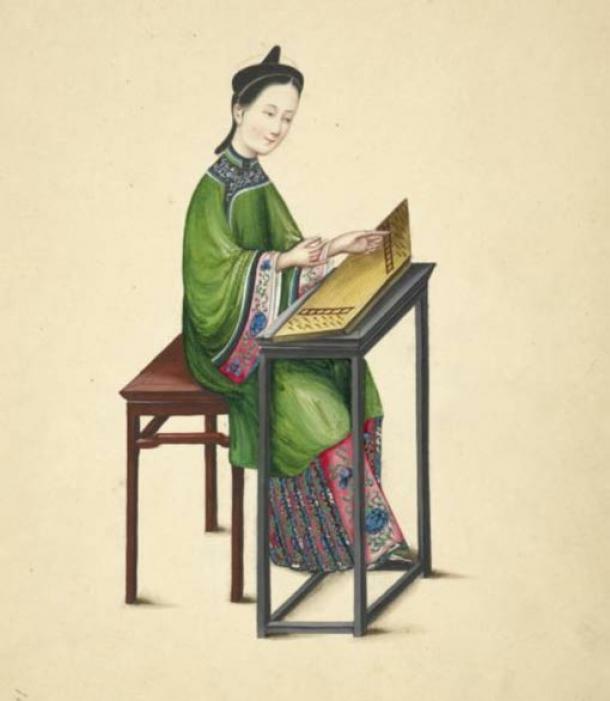 Eventually the instrument evolved into the guzheng, notes Wikipedia. The se is one of the most important Chinese stringed instruments to be created, but there are very few modern musicians who can play the se. Also unearthed by archaeologists was a frame for housing chime bells. Bells were another important instrument in ancient Chinese culture, used in ritual and court music. Bells were hung from a wooden rack and struck with a pole or mallet. Xinhuanet reports that the frame recovered was 4.7 meters (15.4 ft) long, and several pieces of the base were found. The bases were decorated with patterns and symbols of Chinese royalty – the phoenix and the dragon. 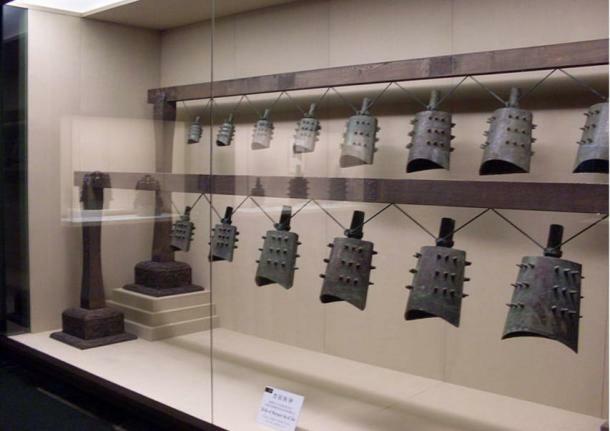 Fang Qin, head of the The Hubei Provincial Institute of Cultural Relics, told Xinhuanet that such large bell sets had never been found before. The complex includes a grouping of at least 30 tombs of various sizes. Other artifacts retrieved from the large burial pits are horses, chariots and weapons. According to Haaretz, 28 chariots and 49 pairs of skeletal horses were buried in the tombs which belonged to high-ranking nobles. The horses and chariots were laid flat in the graves, a rare positioning. The precious tomb artifacts date back thousands of years, and reveal to researchers the musical development of the period, and also prove that the Zeng state of the Spring and Autumn Period (771 to 476 B.C.) was a larger power than previously thought, writes China.org. As researchers continue excavations in the tomb complex, further ancient Chinese mysteries are expected to be revealed.